By The Champs. Arranged by Stephen Rockey. Score, Set of Parts. 35 pages. Published by Stephen Rockey (H0.243403-819335). 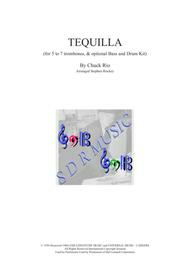 Tequila for Trombone Quintet, with optional parts for Bass, Drum Kit, Trombones 6 and 7. 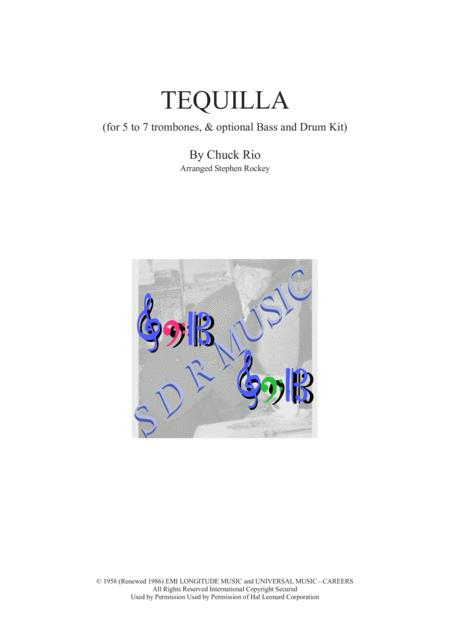 This arrangement works with Trombones 1 to 4 and Bass Trombone, all of the rest are optional. Good fun to play and not too difficult. A mixture of the original rhythms and swing. Enjoy.